NEW ARENA! Frozen Peak in July 2016 Update! In my opinion, this new arena looks super sweet! As the tweet says, it unlocks at 2300 trophies, meaning that Frozen Peak will become Arena 8, pushing Legendary Arena up to Arena 9. It is assumed that Frozen Peak will run from 2300-2999 trophies. What new troops will frozen peak unlock? -Ice Wizard: I think that the ice wizard will be moved up to being unlocked in Frozen Peak, since it goes with the theme. This means that there will be a new legendary unlocked in spell valley. -More Freeze: I think that a smaller freeze spell will be unlocked here as well. Maybe a freeze spell with the duration of 2 seconds or so, in between the zap and freeze costing 3 elixir. -Freeze Spell: It only makes sense for the freeze spell to be moved up to Frozen Peak too! It is currently unlocked in P.E.K.K.A.s Playhouse so we would have to see a huge increase. -Yeti: The yeti would be similar to a giant, but it would move faster, be weaker, and having slowing abilities with a radius of 1 tile whenever anything got close to it! This is an image of Frozen Peak. Personally, I think it is one of the more well done arena, really filling its role in the game. 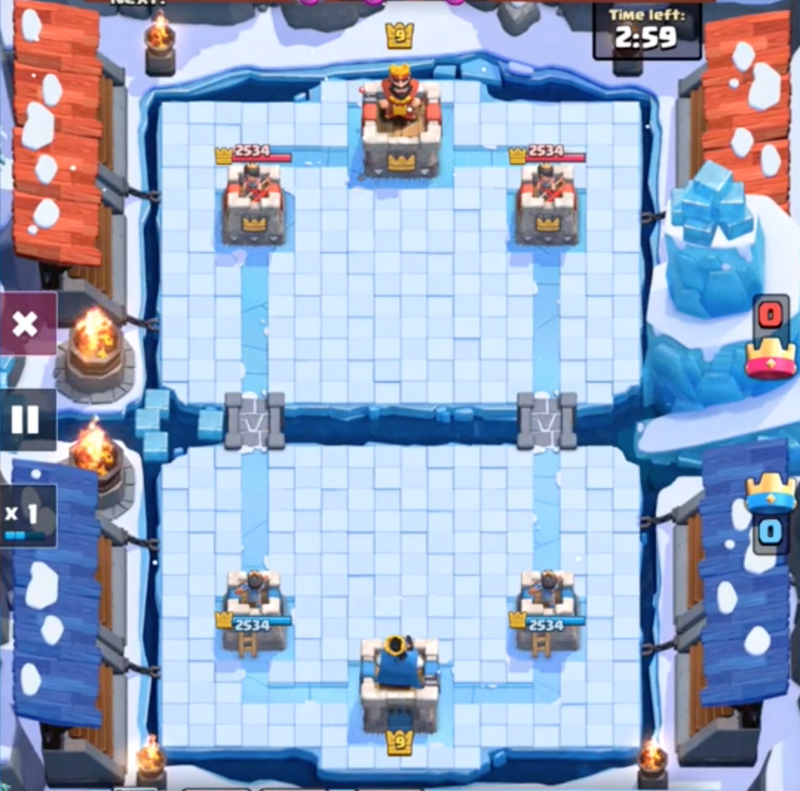 I love the ice tower on the right side and the snow throughout the arena. ← Clash Royale Sneak Peeks for July 2016 Update TOMORROW! Pingback: NEW ARENA! Frozen Peak in July 2016 Update! | Clash of Clans Guide, Strategies, Tricks and More!